Home » Location & Hours – Eye Exam near You in Le Mars, IA » Are You Looking For An Optometrist in Le Mars, IA? Are You Looking For An Optometrist in Le Mars, IA? We offer a wide range of contact lenses to fit your vision needs including contact lens exams and fittings. We provide comprehensive eye exams for adults and children in our Le Mars, IA office. Our eye doctors have the latest technology and experience treating emergency eye infections, scratched eyes, painful or stinging eyes and many other types of eye injuries. At Advanced Eye Health in Le Mars, IA, we diagnose and manage ocular diseases such as Glaucoma, Macular Degeneration, Diabetic Retinopathy, and Cataracts. Eye Exams & Eye Care Services inside Walmart Vision Center. Our independent eye care practice, Advanced Eye Health, is conveniently located inside Wal-Mart, in Le Mars, serving Orange City and Cherokee, IA and surrounding areas. 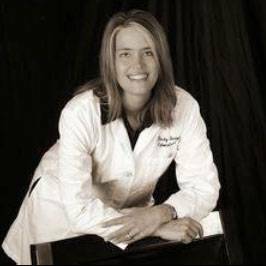 Dr. Becky DeRuyter, and her staff offer a comprehensive range of eye exams and services to preserve your eye health and improve your vision. Are You At Walmart Vision Center in Le Mars, IA? Visit Us. Walk-Ins Are Welcomed At Our Practice.